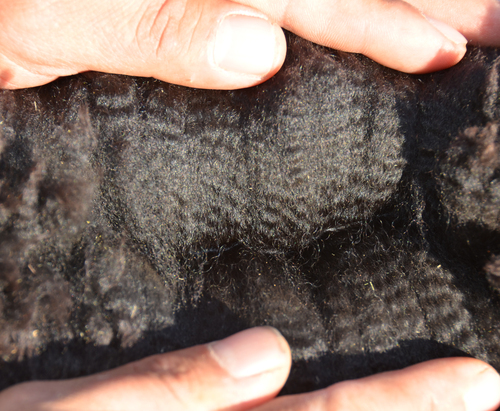 Enrica caught our eye the day she was born with her extensive fiber coverage and bright fleece. Since that day, she has developed into an exquisite girl with a gorgeous head, strong build and dense, true black fleece. 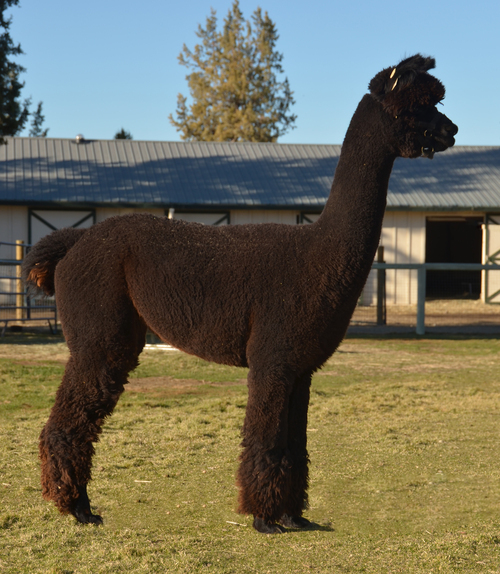 Her dam, Marmelade is an Oliver Twist daughter with a bright fleece, that exhibits a consistent, high frequency crimp throughout her blanket. 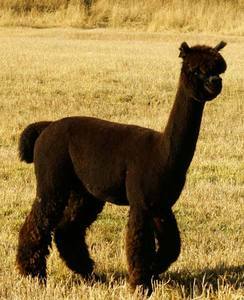 Her sire, is black champion, Patagonia's Admiral (Lennox son). Expectation’s genetics are a match made in Heaven. We have taken the best Patagonia line including Patagonia’s Lennox paired with R&RR Oliver Twist and Topgun, both from Canada, with Elvestad’s density plus fineness program for Expectation’s bottom side, and crossed that with the Snowmass Peruvian genetics. 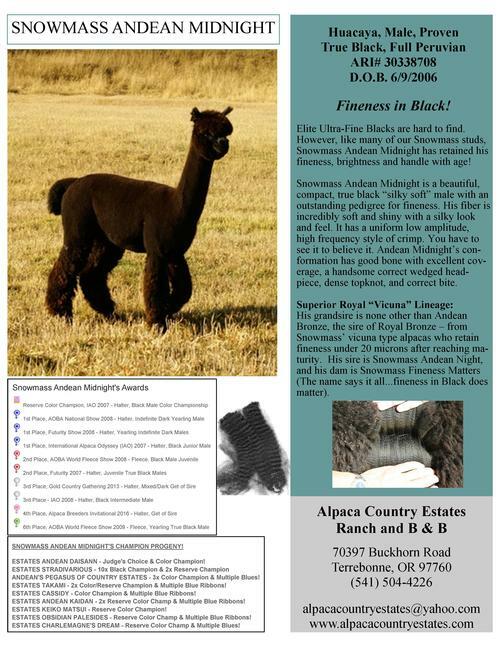 You will recognize Expectation’s sire, Snowmass Andean Midnight, as the sire of Estates Stradivarius, the juvenile true black male that stole the show in 2016 from the east coast to the west coast with blue ribbons and championship banners including The Futurity 2016 True Black Male Championship – the ultimate Futurity statue. 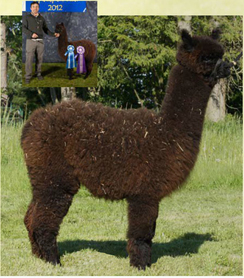 In 2018, Expectation gave us ESTATES SATIN EXPECTATION, a lovely true black female cria sired by 8x Champion & Champion Producer, Estates Satin Cloud.